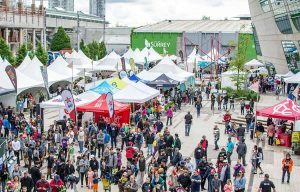 THE City of Surrey on Wednesday announced the release of this year’s Party for the Planet performance schedule and site map, which are now available for download at surrey.ca/partyfortheplanet. 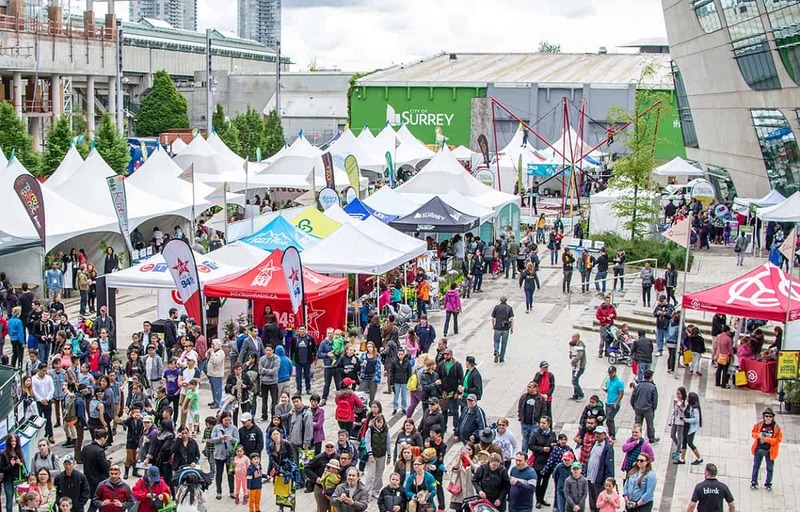 The free event, which is B.C.’s largest Earth Day celebration, will feature the new undercover Live Green World, the popular Adventure Zone and over 70 environmentally friendly exhibitors and vendors. The new Live Green World will offer a series of environmental workshops, including: the benefits of trees, how to use and maintain beeswax food wraps, Sahaja yoga self-realization, indigenous smudging and cedar brushing, tree pruning basics, how to host a sustainable park event and how to care for your trees. Presented by TD Canada Trust, this year’s celebration will take place on Saturday, April 13, from 10 a.m. to 6 p.m., with live music playing throughout Surrey Civic Plaza and City Hall. The TD Main Stage in Council Chambers will feature performances by Colin Bullock, Harlequin Gold, and Bobs and Lolo, while the City Hall Atrium and Live Green World Tents 2 and 3 will feature intimate acoustic concert series. The City Centre Library will feature children’s programming, which includes the Ta-Daa Lady’s Eco-Dome on University Drive and meet and greets with Big Bird and Elmo. Attendees are encouraged to walk, bike or take public transportation to the event. For more details, visit surrey.ca/partyfortheplanet.